One of my new years goals was to start reading more. Once upon a time, before I started to the daily grind of adult life I would read a lot. Having read the entirety of The Wheel of Time at least four times is proof of that with certain books being read more and others less (hello Crossroads of Twilight...). However, I kind of fell out of it as time became more scarce. Finally though, I have managed to get into the habit of reading and I started off with Brandon Sandersons The Way of Kings. 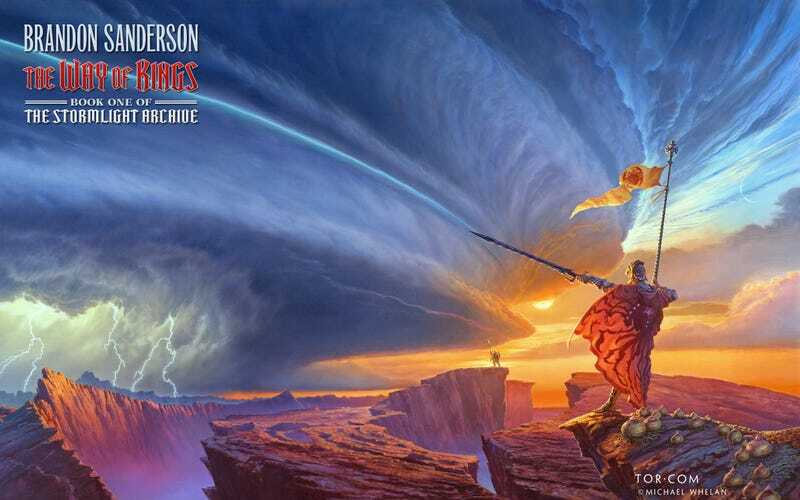 As its an easy transition as Sanderson was the one who finished The Wheel of Time following Robert Jordans death a decade ago now. As I am approaching the ending the chapters are getting suitably “Epic” with some seriously fun battle sequences and delightful double crosses becoming common. It is a good book. So for my topic today I wanted to ask you questions on the topic of epicness. When you think of epicness what is one scene that comes to mind. Or for a work in totality what would make it epic? I’d love some examples of anime, books, films, or television shows as well. Please no Games of Thrones/A Song of Ice and Fire there is enough online about that right now. Do you think the word is overused in modern parlance and has lost a lot of what it used to mean? Or just Talk Amongst Yourselves and have a TAY old time!